Burleson Interurban Depot circa 1921, Burleson, Texas. 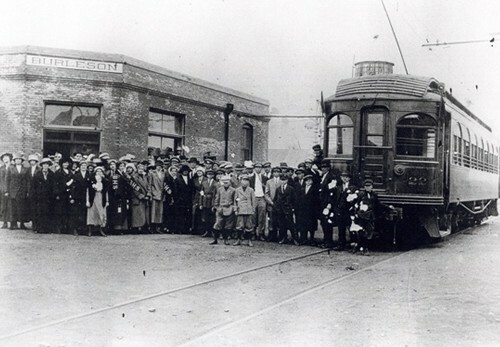 "The three pictures are, one, of the Interurban Depot circa 1921 and the other of Mrs. R.G.K. 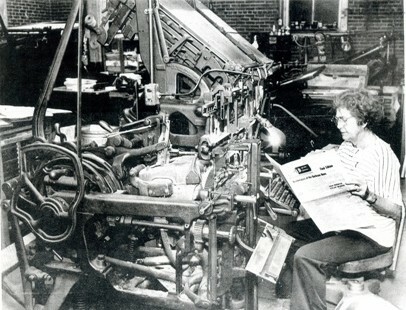 Deering at Burleson’s circa 1923 linotype after the final edition of the long-running Burleson Dispatcher newspaper in 1985. The paper ran in the building in the first picture from roughly 1935-1985. 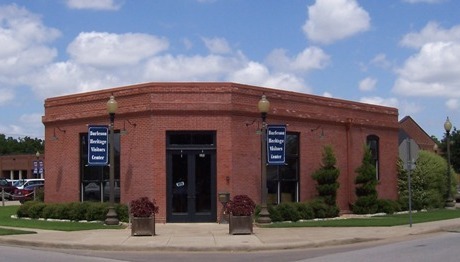 The building has been remodeled and is home to the Burleson Heritage Foundation’s Visitor’s Center & Museum as seen in picture number three. The building is the site of Burleson’s first concrete floor, which is still there, and the first electric light bulb. The Burleson Heritage Foundation is restoring Interurban Express Car #330.